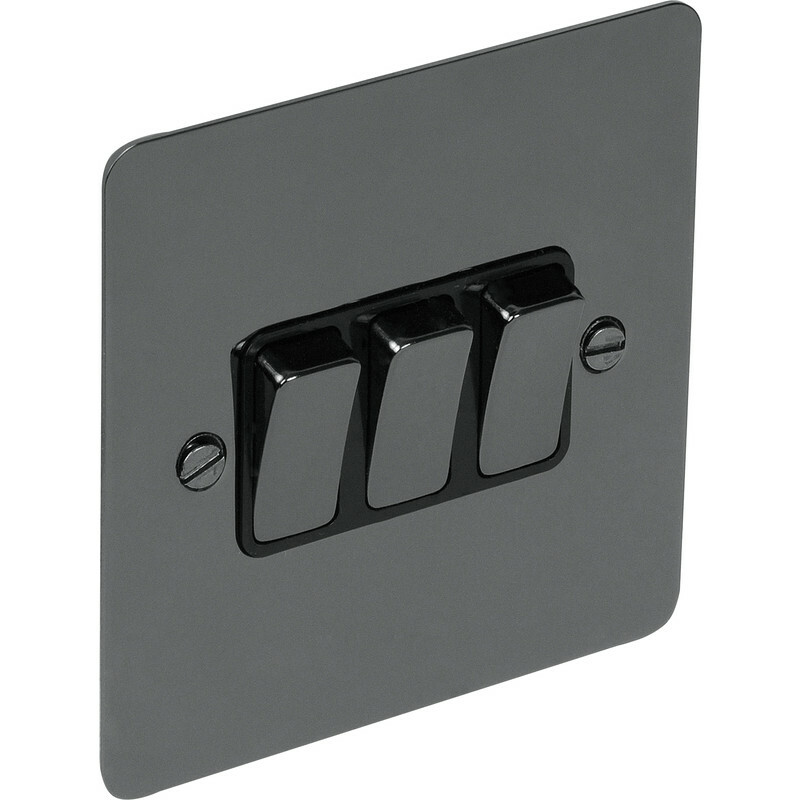 Flat Plate Black Nickel 10A Switch 3 Gang 2 Way is rated 5.0 out of 5 by 6. Rated 5 out of 5 by Sham007 from Best quality switch This is one of the best switch I have bought from Toolstation. The quality is so good that I decided to replace all of them. Rated 5 out of 5 by Mouldy from Looking great I purchased this recently & although not installed yet, they look great.. Rated 5 out of 5 by brij from Product with great finishing I am very happy that I bought this. 6 switches in one plate is not easily available. But finally I am very glad about what I bought. Quick delivery. Great service from ToolStation. Recommended definitely. Rated 5 out of 5 by Spartan from Nice solid fixing Seems great quality compared to the one that was replaced.